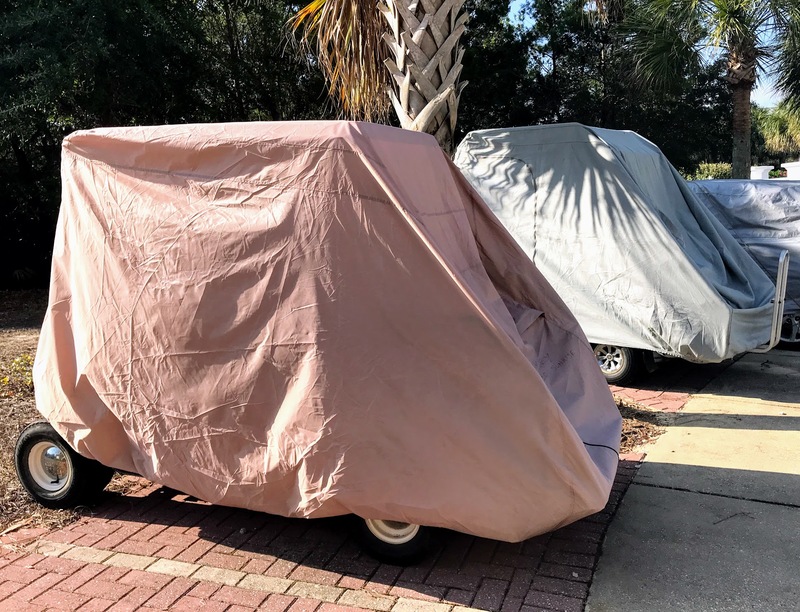 Golf cart storage covers protect your cart if it needs to be left outside and if you are not going to be using it for several weeks or months. Many houses in our golf cart community of Peachtree City have golf cart garages. However this is not the case for many of you. So if there is no place to store your golf cart except for outside, hey, that's not a problem with a golf cart cover. But you can do better than this picture to protect your investment. 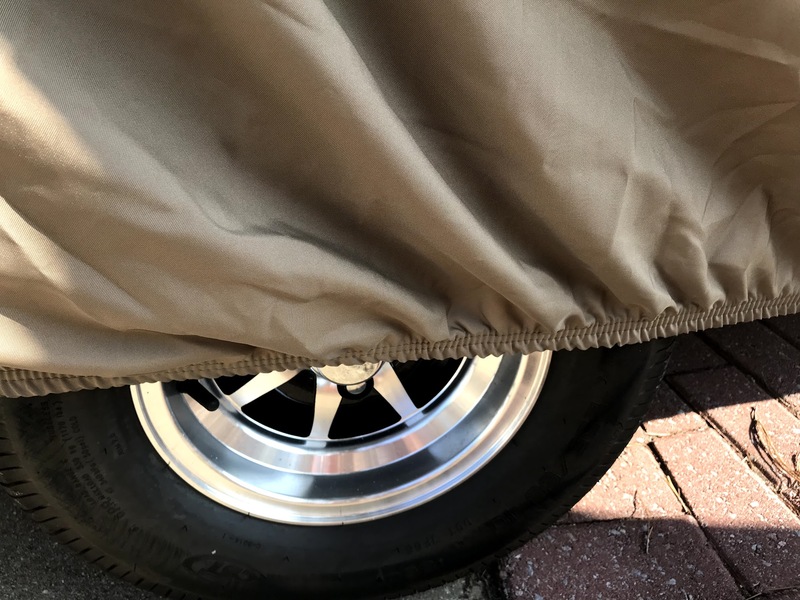 There are several features one should look for in a golf cart storage cover, especially if it is going to be sitting outside for several months. 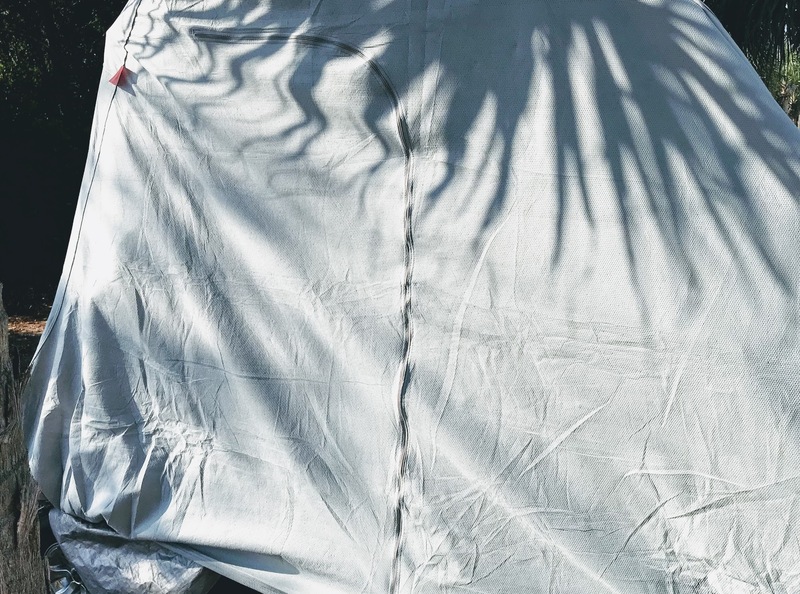 Look for fabric that is UV and mildew resistant, that won't shrink or stretch and repels water. The higher quality fabrics have longer warranties which range from 1 - 5 years. Double top stitching adds durability. Some of them have a handy zipper if you need to get into your golf cart easily. Some have a side zipper and other styles have a rear zipper that allows access to cart without removing cover. An elasticized cord in the bottom hem gives it a tight and custom like fit. Others have a rope cord that is pulled to tighten the bottom. Grommets at the bottom allows the cover to be secured or cable locked to cart. Air vents placed in the front and rear of the cover help to prevent condensation and moisture from building up inside or a musty smell from developing. They also prevent lofting. You also want to find a cover that is easy to put on and to remove. 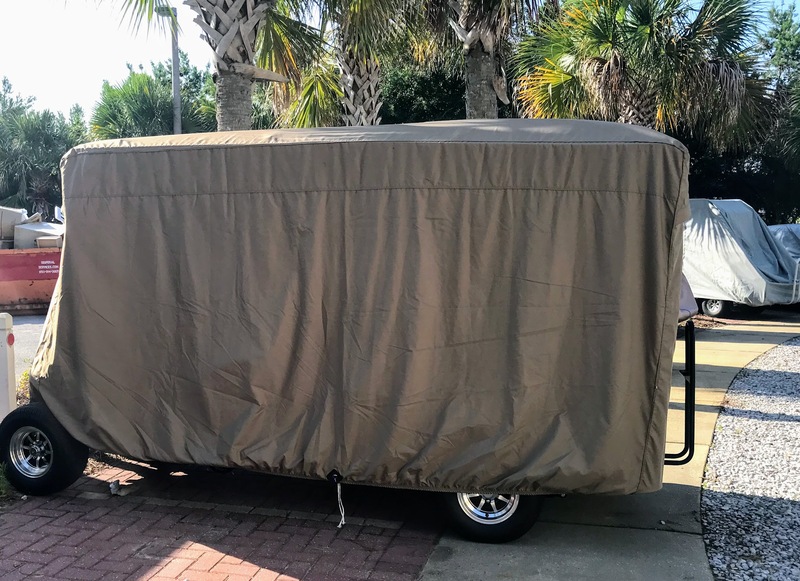 The size of the golf cart cover is determined by the length of the golf cart top whether the cart is a 2 or 4 passenger golf cart with an extended top - not on what make it is. You do not need to look for a Club Car golf cart cover or one that's just for a Yamaha or EZ GO. 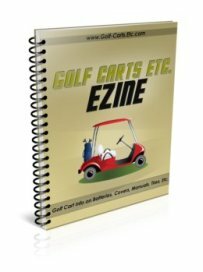 These covers are universal based on the passenger size, the size the golf cart top and if there is a golf bag rack on the back. To ensure that you are buying the right size, be sure to measure the top of the roof. Some covers are specifically for golf carts with an extended roof. Although covers that fit 4 passenger golf carts with an extended roof will also fit a 4 passenger golf cart without the longer top. The three main features of air vents, zipper and an elastic hem are included in this 2 passenger universal storage cover. The zipper is located in the rear, down the center for easy access. The fabric is made of high quality polyester with PVC coating for water resistance. Rear air vents prevent wind from causing lofting and prevents moisture from accumulating inside the cover. The best price cover for a 4 passenger golf cart with the best reviews is on Amazon - 5 stars for this cover on 53 reviews is the best value and most affordable.. It has all the features that I mentioned above and is a great cover to protect your cart. "I have to say I was worried about this cover when I order it because of the design of it, but I love it!! It was designed to go over the long 80" top four seater, but it fits great on my short top four seater. The material is really nice and the air vents really help it from coming off in the wind. I am very happy I took the chance and bought it, plus you can't beat the price!! I paid more for my last cover and it was not as near as nice of a cover as this one." 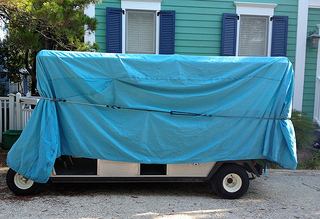 A golf cart cover comes in a variety of construction qualities. It's a small investment to protect your golf cart - around $50 for for a 4 seat golf cart. This Club Car Cover comes in two options - for a 2 seater cart or a 4 seater cart. Although the description says it's for a Club Car, people who own Yamaha's and EZ-GO carts have found the cover fits their carts as well. The weather repellent fabric beads up when it rains keeping your upholstery dry and free from mildew. The elastic band at the bottom allows for a secure fit and prevents wind from getting under it and blowing it off or tearing it.